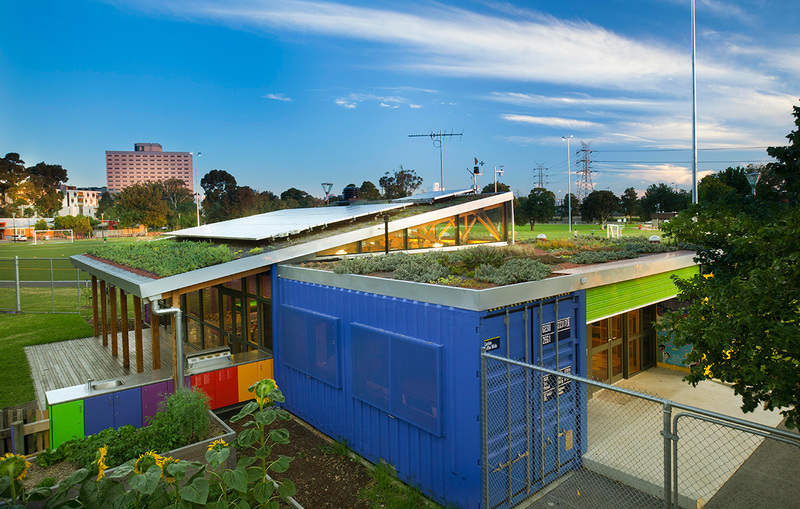 Green roofs are constructed as community spaces and architectural features. They are also built to capture stormwater, improve species diversity and insulate buildings against heat gain or loss. Vegetation is planted in a growing substrate: a specially designed soil substitution medium. This may range in depth from 50 mm to more than a metre, depending on the design aims and the roof’s weight capacity. 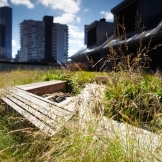 Green roofs have traditionally been categorised as ‘extensive’ or ‘intensive’. Extensive green roofs are lightweight with a shallow layer of growing substrate less than 200 mm deep. They require minimal maintenance, generally have low water requirements and use small, low-growing plant species, particularly succulents. Ecoroofs or brown roofs are terms used to describe these green roofs. 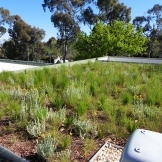 Roofs designed specifically to increase local plant diversity and provide habitat for wildlife are known as biodiverse green roofs. 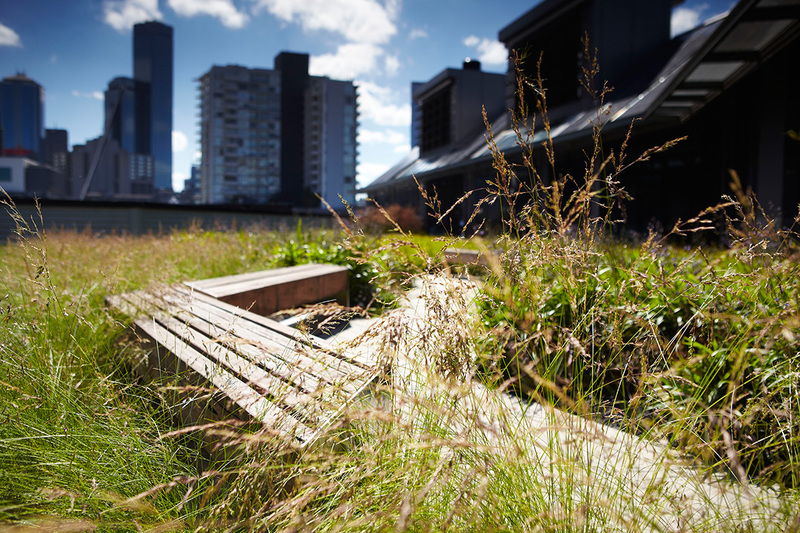 Intensive green roofs are generally heavier, with a deeper layer of growing substrate. They support a wider variety of plant types. Intensive green roofs need more irrigation and maintenance than extensive roofs, and are highly-engineered landscapes. They are often built directly on structures with considerable weight load capacity, such as car parks. ‘Roof gardens’ or ‘podium roofs’ are terms also used to describe these types of roofs. 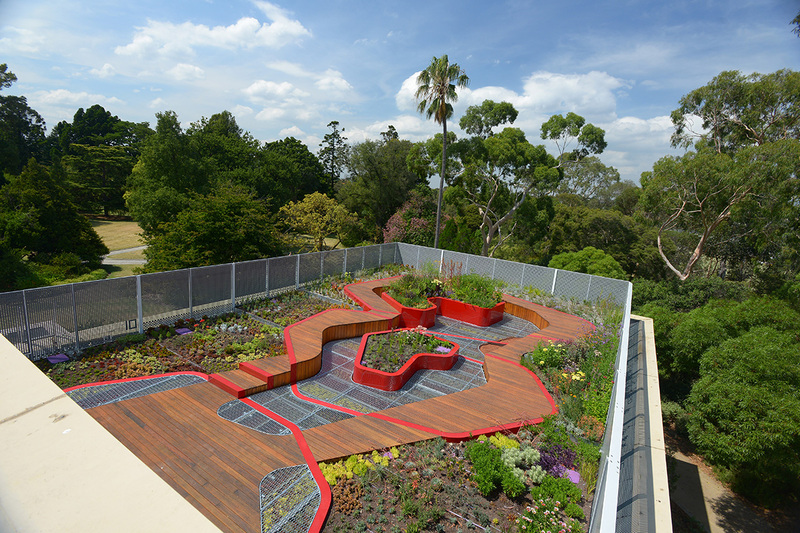 ‘Roof garden’ is used particularly for sites where more space is used for hard infrastructure such as decking. Typically, constructing a building on a piece of land will reduce the permeability of the site, or its ability to absorb water. This is because rainwater can no longer reach the soil; it is captured on the building’s roof and flows to the drains instead. Creating a green roof is a great way to increase the permeability of a building. 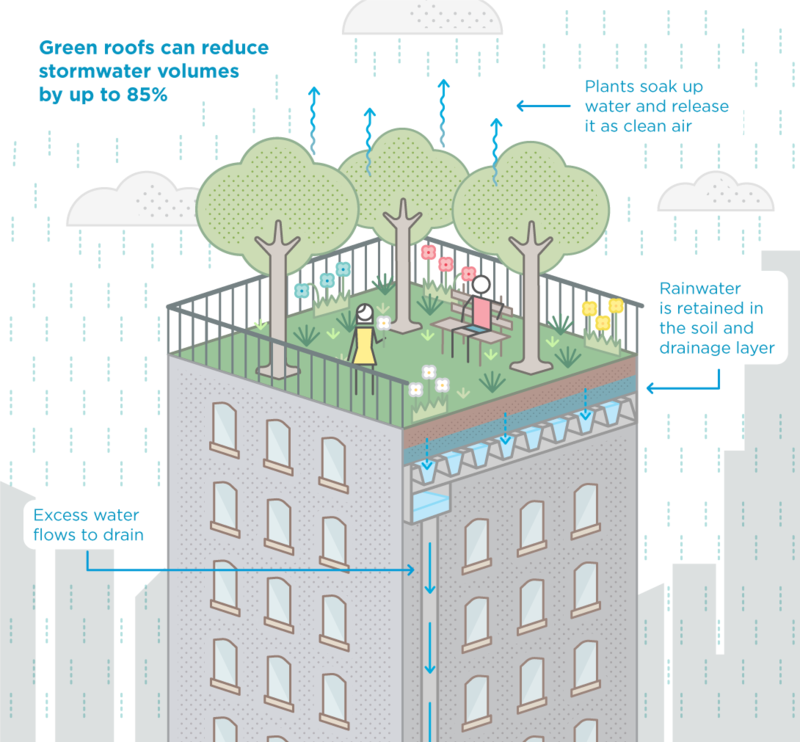 Green roofs absorb and retain rainwater, and can manage stormwater runoff in urban environments. In a green roof, water is stored in the substrate layer and used by plants. It also evaporates directly from the substrate. Extra water can be stored in a water-retentive or drainage layer at the roof’s base. 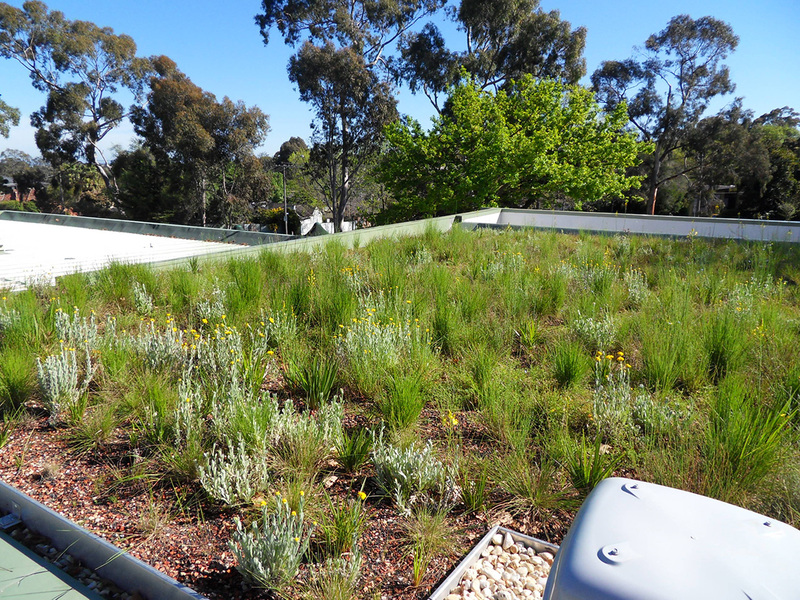 Many factors influence the extent to which a green roof can reduce water runoff into the stormwater system. These include the depth and properties of the substrate, type of drainage layer used and roof slope. 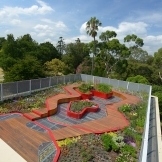 When designing a green roof, it is important to consider different types of plants and drainage systems. 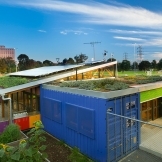 The Growing Green Guide is Australia’s first guide to green roofs, walls and facades. It provides detailed technical information for using these technologies in the Victorian context.